Anna can’t wait for the Puppy Parade. She’s certain Banana will win. 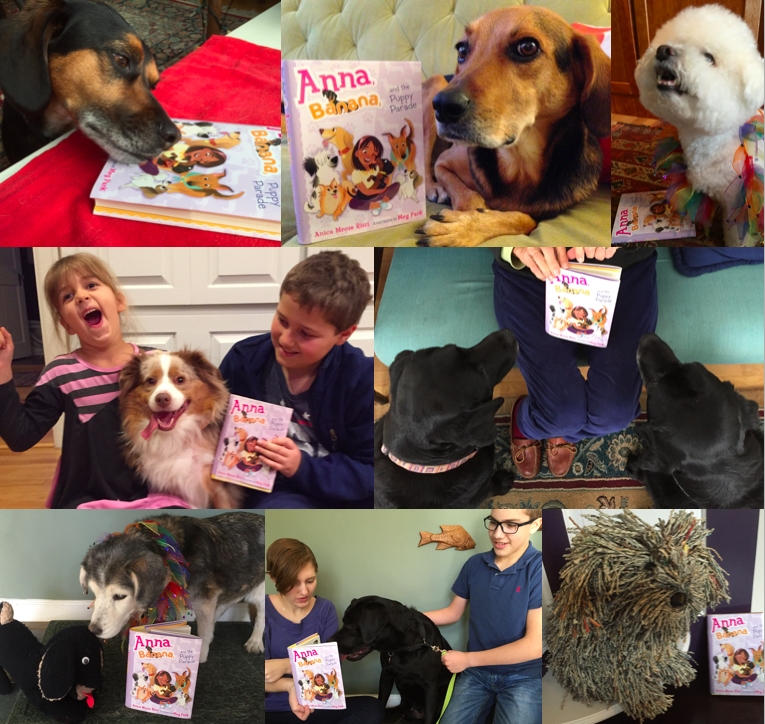 Soon Banana will be famous—and that means Anna will be famous too! 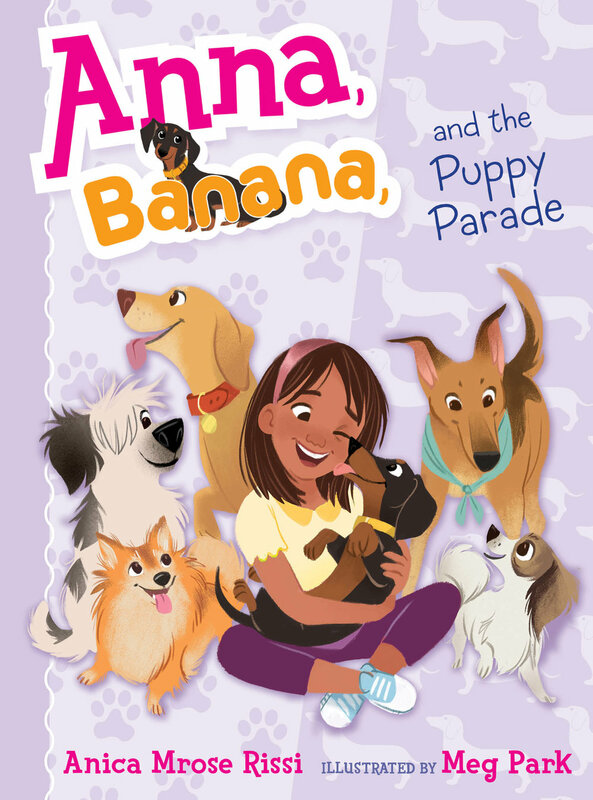 But when Sadie and Isabel suggest they all enter Banana in the parade together, Anna starts feeling a little unsure about sharing her dog—and the spotlight—with her friends. How can Anna be Best in Show and be a good best friend? Order the book from Indiebound, B&N, BAM, iTunes, Target, Amazon, Indigo, or S&S, or ask for it at your local bookstore or library. “We’ve been writing down ideas for the dog show,” Sadie said. “And I made us a schedule.” She held up the notebook so I could see it too. My stomach did a flip, as if it had been tossed in the air like Banana’s bunny toy. It seemed wrong that Sadie and Isabel had been talking about the parade plans without me. Why couldn’t they have waited until I got there? But Sadie’s eyes were shining proudly, and I knew she and Isabel had worked hard on this. I swallowed back the weird feeling and glanced at the page. “That’s great,” I said. A funny look crossed Sadie’s face. I must not have sounded convincing.